Find relevant influencers in your field. Follow them and engage them to spread word of mouth. Follow all that’s being said that has topical importance and act on it. From finding all relevant content you can zoom out to discover trends and patterns. Use BuzzTalk for spike detection and act upon any changes in your field of interest. Find out whether BuzzTalk is right for you. Get in touch with one of our sales representatives and find out how BuzzTalk can help your business move forward! We live in an era of information abundance. Every few months the information on the internet doubles. It gets harder and harder to keep up. But it’s not about keeping up with all that is published. It’s about discovering the value that lies within all those data. 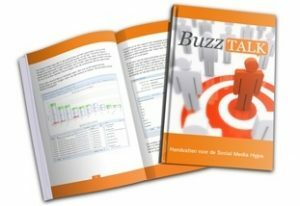 BuzzTalk captures all new publications surrounding a certain theme. Each publication is tagged according to mood state, sentiment and various facts. This way you can use BuzzTalk as an advanced content discovery and market intelligence instrument.